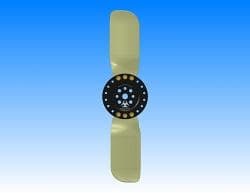 High performance race fan designed from the ground up utilizing cutting edge technology and materials. Our fan was designed with racers in mind... and their feedback. After researching the shortcomings and issues of traditional steel fans currently being used, we asked ourselves how could we make something as simple as a fan better!? Our fan features a universal center hub made from 6061-T6 Aluminum and composite blades for a significant decrease in weight over traditional steel fans. 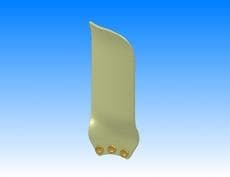 Our blades are manufactured using extremely durable high-impact and high-temperature fiber reinforced Zytel®. On the rare occasion that a blade does become damaged due to a heavy impact etc... the blade can easily be replaced without having to scrap the whole fan!